Stuff in their Ears? Sticks up their nose? Let's keep things out of our kid's ears and nose! Rhyming and beautiful, bright and colorful illustrations will gently remind children to avoid putting things where they don't go! After 14 years of practice, Dr. Altman never ceases to be amazed at what children will think of to stick up their noses or stuff in their ears. From rocks to raisins, paper to peanuts, crayons to candy and buttons to beads, Dr. Altman has removed them all! Sometimes adults marvel at the wonderful curiosity of young children...until their inquisitive natures cause them to insert unimaginable objects into inappropriate places. It's difficult to appreciate a child's creativity when it might cause a medical emergency. 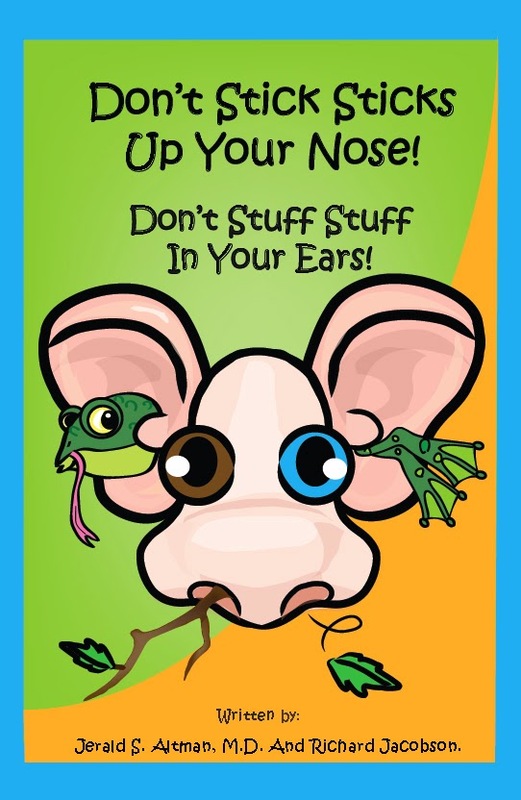 Don't Stick Sticks Up Your Nose! Don't Stuff Stuff In Your Ears! explains to children, in a fun, colorful, and memorable way, why it's a good idea to avoid such behavior. The kids will soon be repeating the rhyming verses while being gently reminded not to stick things up their noses and not to stuff things in their ears. (2) the experience occurring as the developed energies, depending on purpose and intensity, are detected by muscle receptors. The conscious experience occurs as perception (the experience of the environment), imagery (imagination, memory, and dreams), feelings (emotion), or, when agreed to, the meanings of language. Consciousness and conscious experience are not subject to the interpretations of scientific and religious knowledge because consciousness is the individual experience of each and every person. Title: Bawb's Raven Feathers Author: Robert Chomany Publisher: Invermere Press Genre: Inspirational Format: Paperback/Ebook BawB's Raven Feathers is pure and simple. It kickstarts moments of self-reflection and inner peace, drawing on nostalgia while pushing the reader to live in the present and dream of tomorrow. 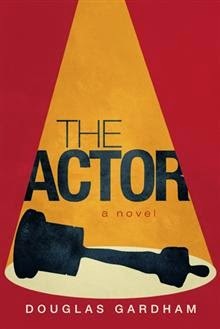 Alternating brief chapters of prose with perfectly rhythmic, adult rhymes, this book holds appeal for the masses. Pump Up Your Book is pleased to bring you Dr. Shereese V. Battle's The Love Below book blitz October 6 - October 17! Ever dated someone and felt the need to take drastic measures to preserve your feelings? Yeah, me too! You want to give more of you, show more of yourself, and open up a little more. But, you're afraid! You’re afraid that something so sweet could become so bitter. So you caution yourself… See, the beauty in Robot Love is it doesn't have to end! So, take your time and be mindful of your emotions. But, keep in mind that, it's OK for one Robot to love, and miss another. Have you ever received a call from someone and felt the need to go into IMMEDIATE Prayer? You think, "Lord, should I answer this call?" Sometimes, you have to push the call-end button. Quite frankly, I find myself doing it more often. It’s not because I don’t want to be of service, but it’s hard to help someone who becomes rebellious against assistance. So, help if you can. But, know that it’s OK to let him/her go so you can grow. Remember when you were a kid and had imaginary talks with yourself about growing up? Yeah me too! I can still hear my mother saying, “You better stay a child as long as you can.” Momma told me there would be days when I wish I were still a kid. And you know what? “She ain’t ever lied!” Despite my age, I still need her help. I never anticipated facing so many challenges as an adult. From me to you…Just be careful with what you wish. The Love Below is an empowering, self-help guide for overcoming life-changing situations. This book will also provide practical tools to help reflect on the past by offering essential steps to move toward a healthy future. Shereese Battle is a certified and credentialed Life Coach, Spiritual Advisor, and Therapist. Shereese is publisher of Robot Love HeartWrites Publishing (www.robotloveheartwrites.com). She can be contacted atdr.shereesebattle@gmail.com. Shereese Battle, a certified and credentialed Life Coach, Spiritual Advisor, and Therapist, is a devoted woman of Christ, and the mother of two: Chynah (seventeen) and Ayden (five). Born and raised in Portsmouth, VA, she relocated to California in 2010. After losing her mother in December 2009, Shereese was broken and shattered. However, she sought healing and instead of being defeated by grief, she used wisdom and prayer to help ease the pain. It was during this time that Shereese also had an epiphany, which prompted her to a Holy Spirit-led move across the country. She knew as long as she had Jesus, she had everything! This was the beginning of her new life. Since 2010, Shereese has been an ongoing student with Liberty University. She holds a Bachelors of Science in Psychology, a Masters of Arts in Life Coaching, and she is currently enrolled in Liberty University Seminary School where she is pursuing her Master of Arts in Pastoral Counseling for Marriage and Family. She has also completed and graduated from two years of ministry school. In addition, she holds a degree in Developmental Disabilities. Shereese currently resides in Southern California with her children. She loves devoting her time to things that will add and bring volume in her life. Her mission is to continue to allow God to use her, bless others unconditionally, and to live every day in appreciation. It is here where she is focused on creating the change that she would like to see, as well as, growing in her purpose so that she can continue figuring out who she is by becoming a better person. She loves baking, being creative, playing tennis, traveling, and writing, as well as, meeting new people. She can be contacted at dr.shereesebattle@gmail.com. Love Cycles by Arlow Bailey Book Blitz - Win a $25 Amazon Gift Card! Pump Up Your Book is pleased to bring you Arlow Bailey's Love Cycles book blitz October 6 - October 17! Title: Love Cycles Author: Arlow Bailey Publisher: iUniverse Pages: 108 Genre: Body, Mind, Spirit Format: Ebook Purchase at AMAZON After a failure in a relationship. The author starts all over in his entire way of thinking. This book walks us through Arlow's look on Spirituality, Life, Looking for Love, Finding Love, Lost Loves and then doing Positive Affirmations in order to find the strength to do it all again. Thus Love Cycles. Look for his new book Creative Dating to be coming our soon. Creative Dating is the first attempt to change showing off to showing love. It puts back the creative juices in dating instead of dinner and a movie. Find out how. Arlow is giving away a $25 Amazon Gift Card!